Fashion, portrait and still life images by Irving Penn (1917-2009), are among the photography masterpieces in black-and-white and colour on display at the Smithsonian in Washington D.C. The exhibition is the first retrospective in twenty years of the photographer who captured street scenes from the American South; fine-art fashion photos; still life and celebrity portraits; and photos made for magazine editorials and commercial advertising; including previously unseen images. 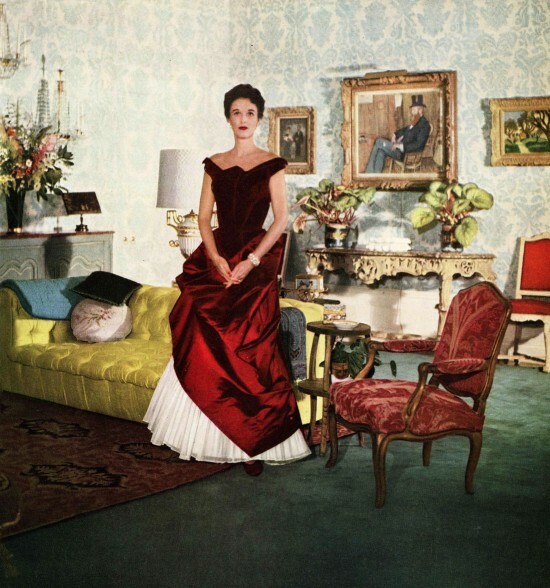 Penn’s photographic career spanned nearly seventy years, and at Vogue magazine, Penn’s portraits and fashion images defined 1950’s elegance. There are approximately one hundred fifty photos, plus Super 8mm films of Penn in Morocco, made by his wife – who was a model – Lisa Fonssagrives-Penn – that add a dynamic insight into the artist at work. 1st June 2015 “Shoes are one of the most telling aspects of dress. 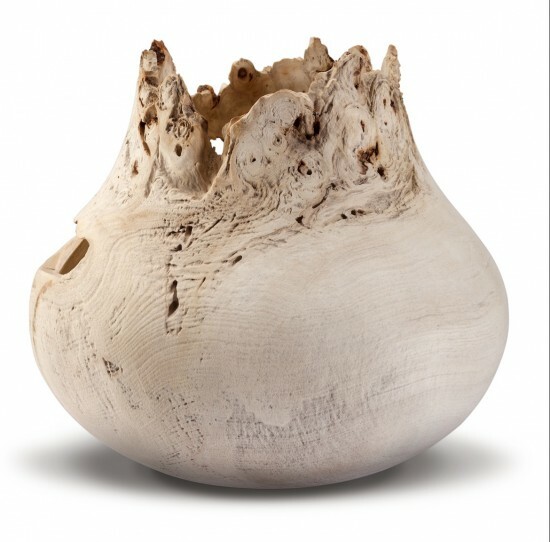 Beautiful, sculptural objects, they are also powerful indicators of gender, status, identity, taste and even sexual preference. 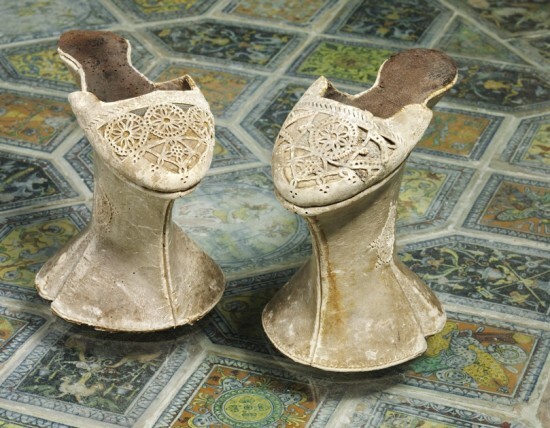 Our choice in shoes can help project an image of who we want to be,” says Helen Persson, Exhibition Curator for Shoes: Pleasure and Pain. Included in this splendid show are shoes from the unrivalled collection at the V& A, plus international collections, and wardrobes of private individuals. Shoes worn by or associated with high profile figures including Queen Victoria, Marilyn Monroe, Sarah Jessica Parker, David Beckham and the Hon Daphne Guinness, among others, are featured. 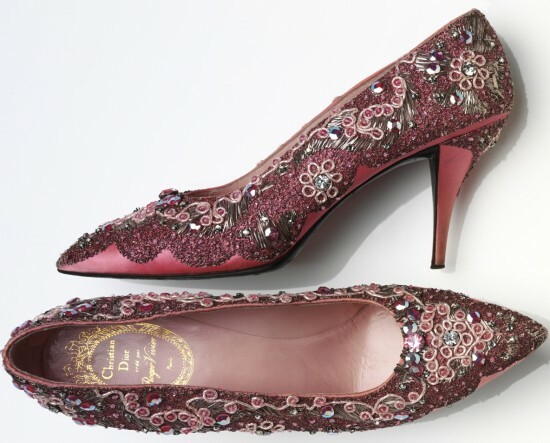 The famous ballet slippers designed for Moira Shearer in the 1948 film The Red Shoes are on display. 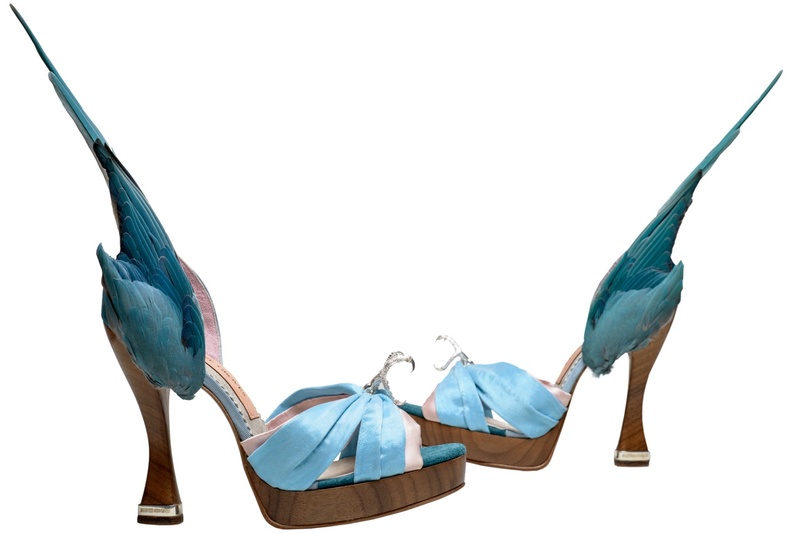 Footwear for men and women by seventy designers including Manolo Blahnik, Christian Louboutin, Vivienne Westwood and Jimmy Choo will also feature in the more than two-hundred pairs of shoes included in the exhibition. 5th May 2015 A new event showcasing exceptional craftsmanship takes place this week around the capital. Well-known luxury brands and lesser known labels will be featured in a journey-of-discovery programme involving specialist workshops, small-scale makers and artisans, famous shops, galleries and luxury brands. 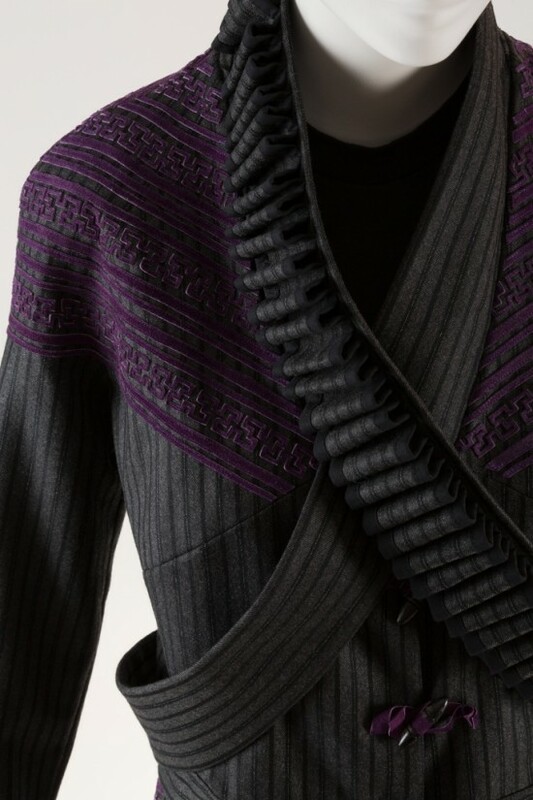 Above: Daniel Harris for London Cloth – www.londoncloth.com – who will be scarf-weaving at Daks, Old Bond Street / 7th May). The line up includes varied events and demonstrations at London’s prestigious department stores including Fortnum & Mason, Selfridges and open studios – an exciting event at Cockpit Arts features independent designers and makers in varied disciplines including wood work, textiles, millinery and jewellery (Cockpit Arts, Cockpit Yard, Northington St, London WC1N 2NP / 9-10th May). 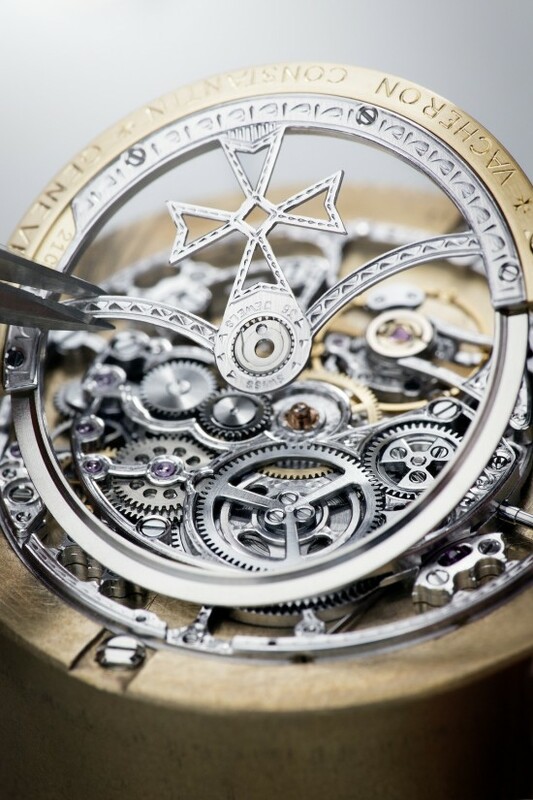 Vacheron Constantin, the founding partner of London Craft Week will show how their luxury watches are made and engraved, with experts demonstrating their craft at the flagship store on Old Bond Street. 1st May 2015 The term “luxury” is a fascinating subject, as it can have many different interpretations, depending on the person. 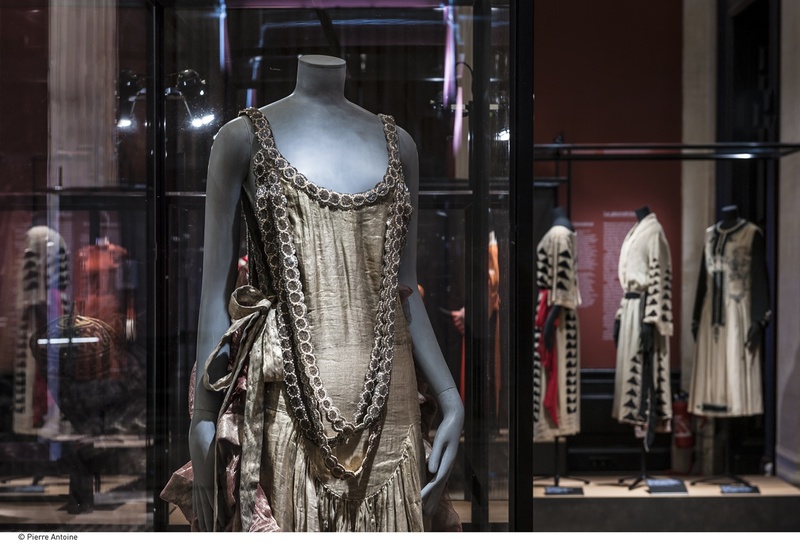 The Victoria and Albert Museum explores the concept of luxury with a new exhibition What is Luxury? Exceptional examples of contemporary design and craftsmanship are featured alongside conceptual projects that interrogate fundamental ideas of luxury, its production and future. 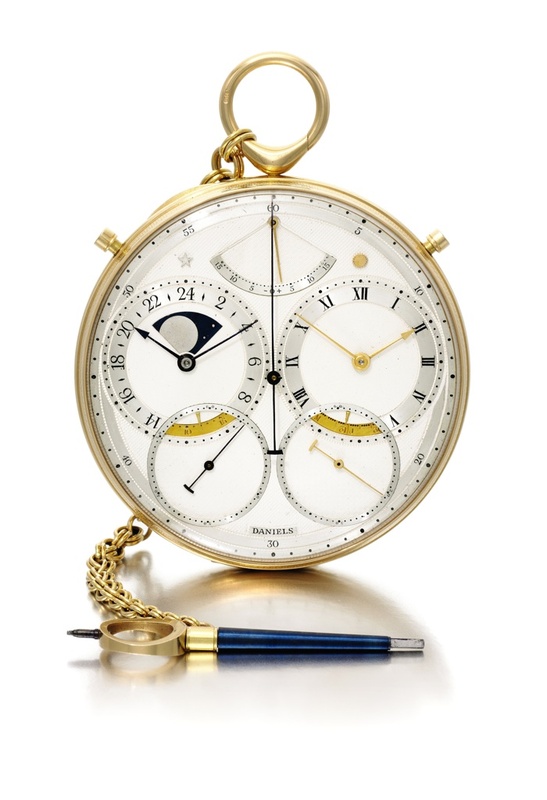 Included in the presentation is an entirely handcrafted mechanical watch – The Second Space Travellers’ Watch – by British watch maker George Daniels. Fashion is represented with a laser-cut couture dress by innovative Dutch fashion designer Iris van Herpen (top photo), and more than 1000 hand-knitted nylon bubbles create the Bubble Bath necklace by Nora Fok. 19th April 2015 The work of Canadian War Artist, Fashion Illustrator and Modern Painter Irwin ‘Bud’ Crosthwait (1914 – 1981) with go on sale at a special exhibition in London by GRAY M.C.A., later in the year. The exhibition will include more than 60 original works from private collections: War Art, Fashion Illustration & Modern Art with prices ranging from £350 to £10,000. Coinciding with London Fashion Week (SS16), the exhibition will highlight Crosthwait’s work as one of Paris’s acclaimed Fashion Illustrators, commissioned by publications including Harpers Bazaar, Vogue, Elle, Jardin Des Modes, Herald Tribune, New York Times & Femina and designers Givenchy, Dior, Marc Vaughan, Pucci, Courrèges & Yves St Laurent. Above: Irwin Crosthwait 1977 St Emica Watercolour (£1,500). 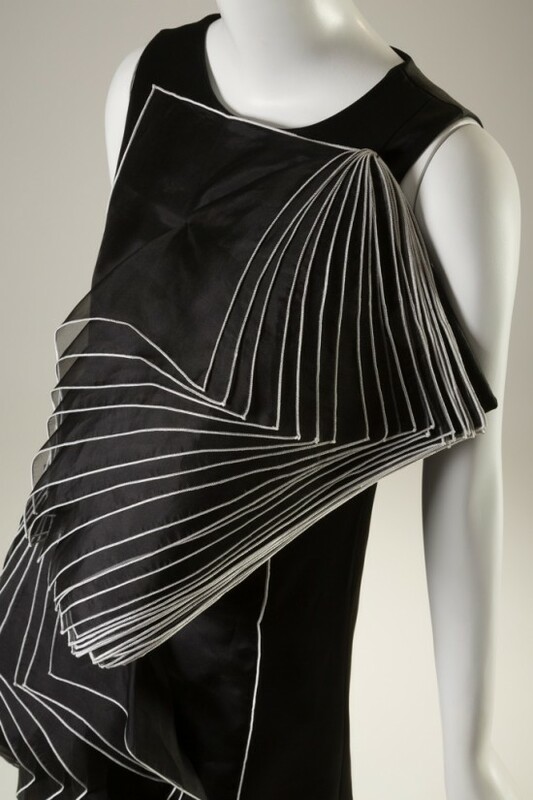 1st April 2015 A special chapter in French fashion history is highlighted with the intuitive creations of Jeanne Lanvin, now on display in the Palais Galliera. 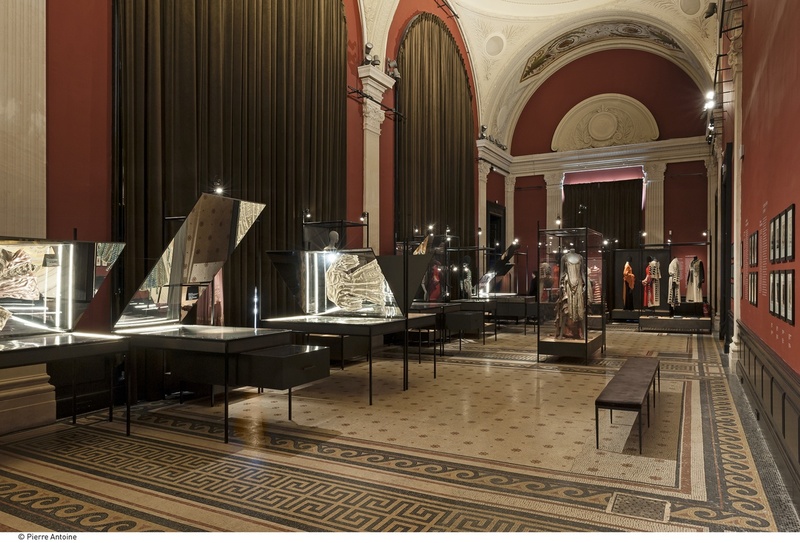 Curated in close collaboration with Alber Elbaz, artistic director of Maison Lanvin, the exhibition honours the oldest French fashion house still in business. 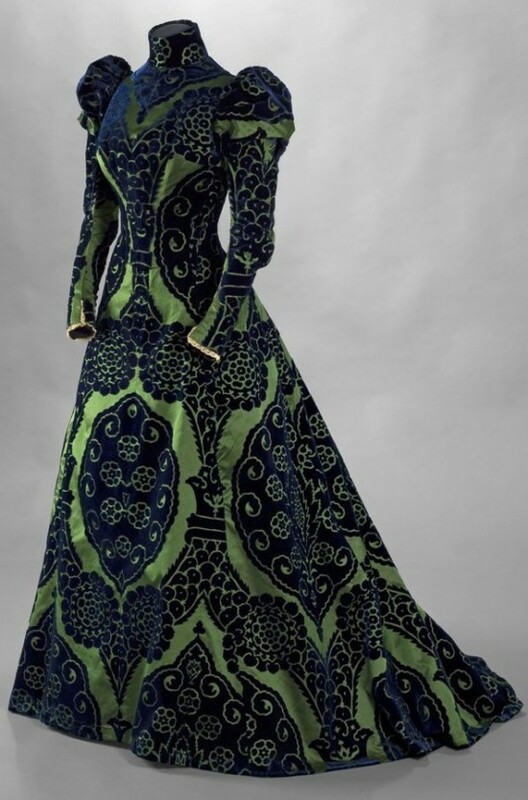 In 1889, the twenty-two year old designer Jeanne Lanvin opened her first shop in Paris, and launched her long career that demonstrated her artistry in materials, embroidery, topstitches, twists, spirols, and cut-outs – all the virtuosity of the couturière’s craft. 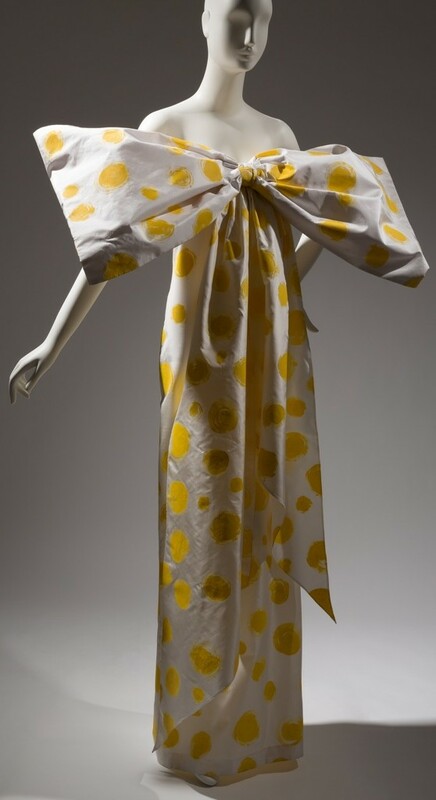 For the period, Jeanne Lanvin was very entrepreneurial, opening shops in Deauville, Cannes, Biarritz, and Le Touquet, as well as abroad in Barcelona and Buenos-Aires. 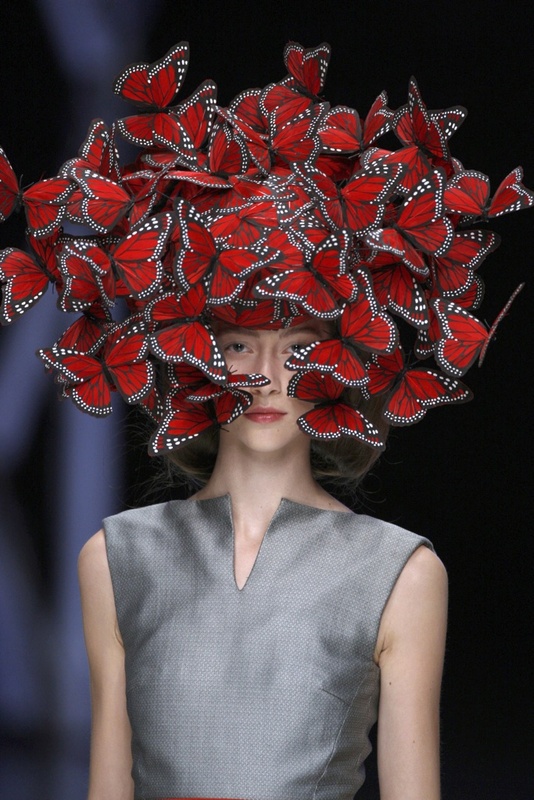 Her voracious curiosity inspired her to create unusual fabrics, patterns and exclusive colours. Her favourite colour – blue – was inspired by the intense blue in frescoes by Fra Angelico, and marvelous shades of blue were always magnificently presented in her collections (top photo). 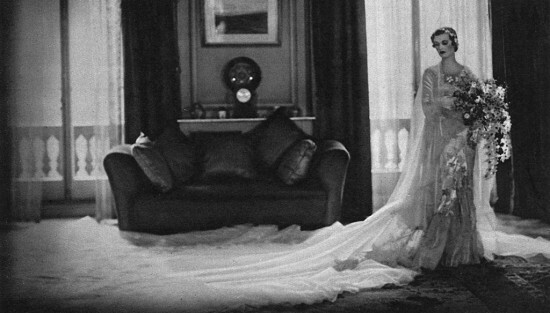 Her lifelong muse was her daughter Marguerite, who was born in 1897. 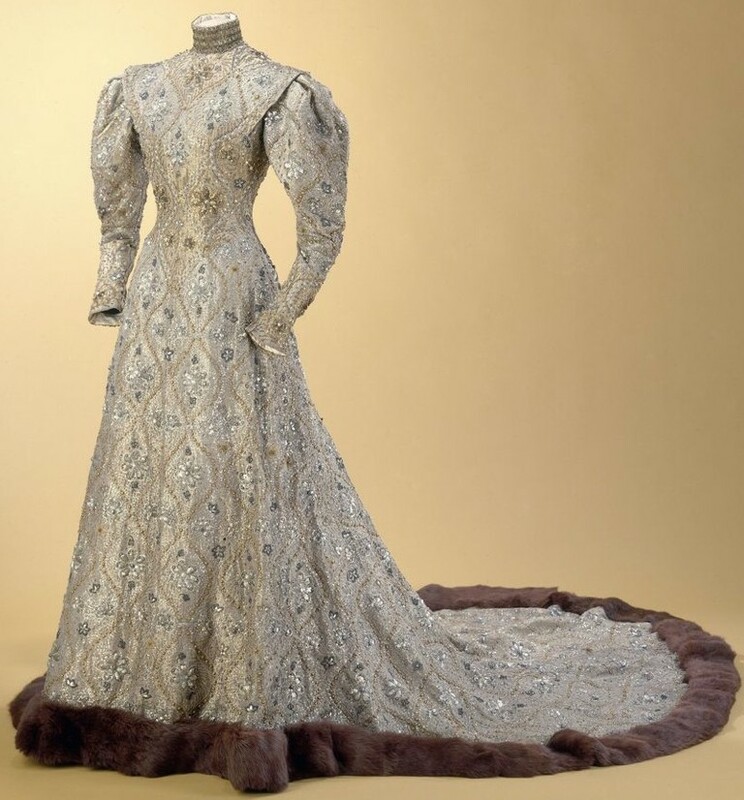 Mme Lanvin’s dresses flattered the female form, and often she mixed fabrics – silk crêpe with silk tulle, or silk velvet with silvered metal sequin embroidery – with stunning results. 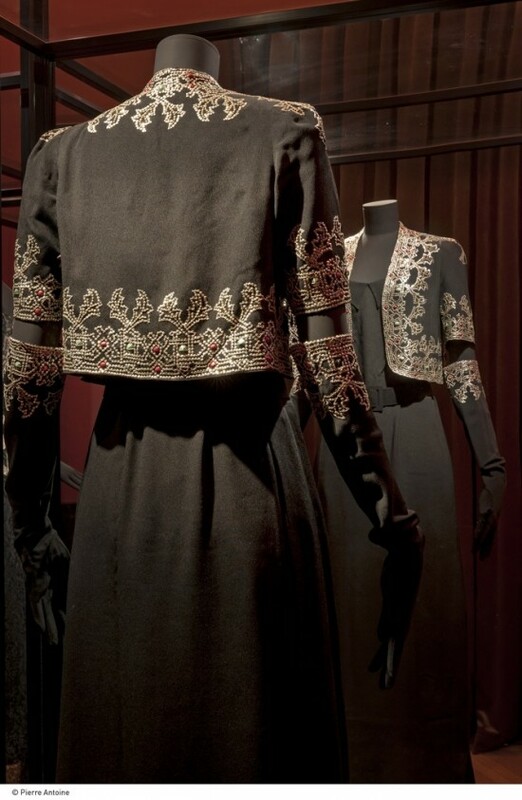 She loved embroidery and beads, and used generous amounts in her designs. When Jeanne Lanvin introduced her perfume Arpège – from the musical term arpeggio – the name was a tribute to the pianistic skills of her daughter, and for Marguerite’s 30th birthday, Jeanne dedicated her legendary perfume to her beloved daughter. 1st February 2015 The Musée Cognacq-Jay in Paris is absolutely a little gem. Founded in 1928 by the founder of the La Samaritaine Department Store (sadly, now closed) Ernest Cognacq assembled an amazing collection of emblematic eighteenth-century art works. They are on display in a beautifully renovated sixteenth-century townhouse in the Marais. M. Cognacq chose items that would be representative of “the artistic décor of French life”… and include a stunning collection of portrait miniatures, superb paintings, busts, Meissen porcelains and furniture. 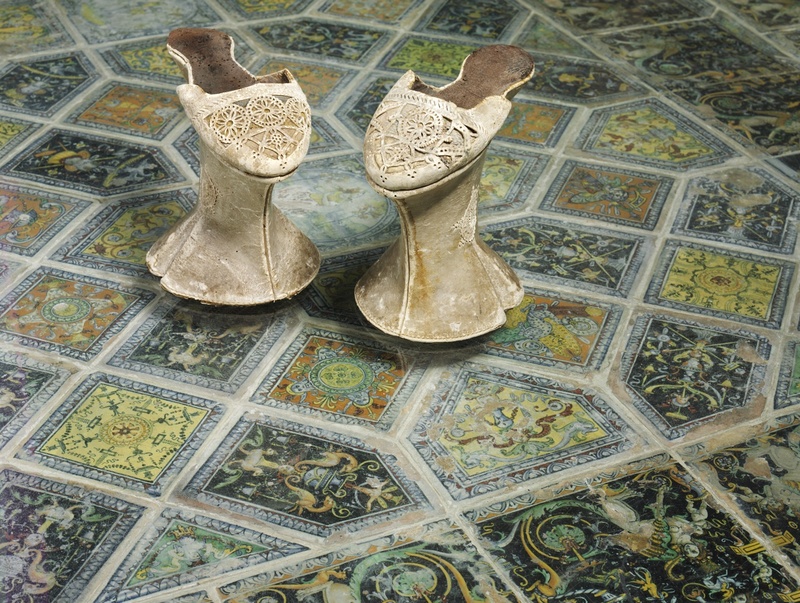 To celebrate the re-opening of the Musée Cognacq-Jay, Christian Lacroix, the peripatetic fashion and interior designer, was offered a “carte blanche” – a dual challenge of re-imagining the “guiding narrative” of the exhibition spaces, while exploring a concept which has shaped his own approach to his art – the fascination exerted by the eighteenth century. 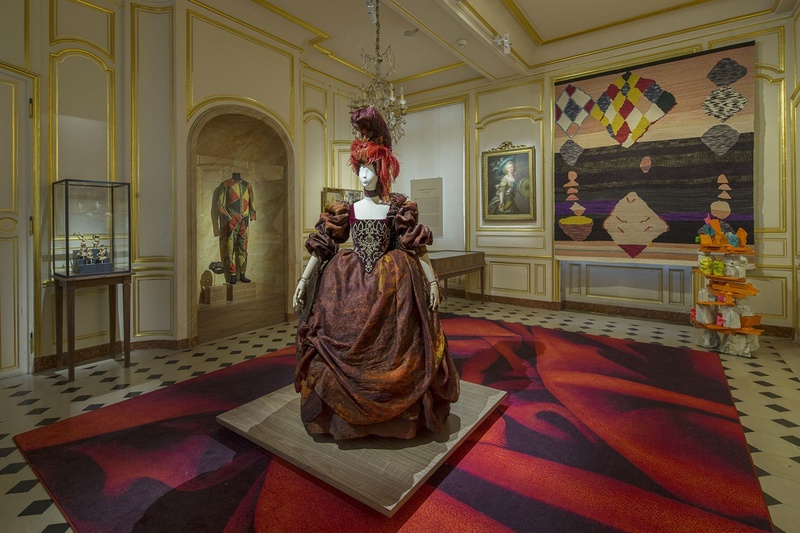 Lacroix has curated contributions from over forty contemporary artists, invited to reflect upon ten key themes identified in Ernest Cognacq’s collections. 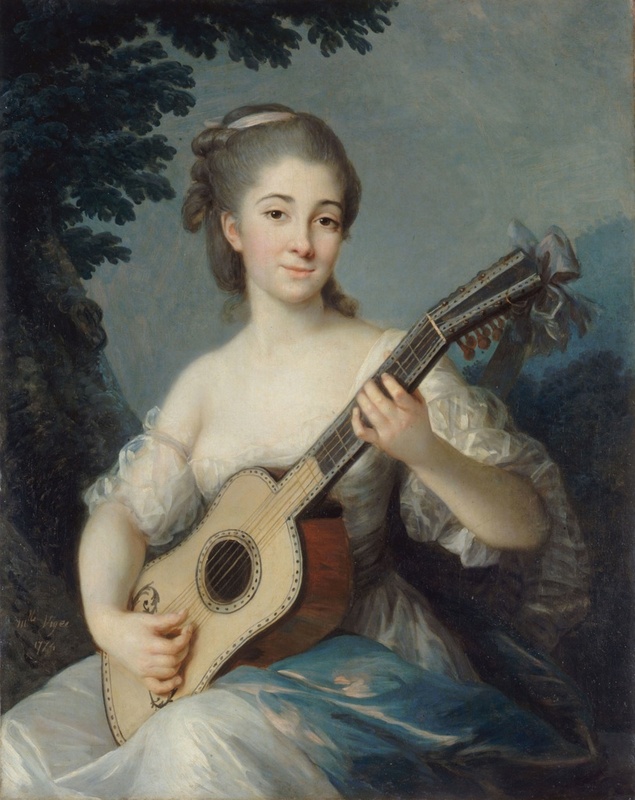 Some of the themes include: 18th century taste; Show, balls and sociability; Paris, capital of the Enlightenment; Fables, stories and novels; and Europe’s artistic economy. Lacroix’s selections have been assembled with a view to enhancing our understanding of the Age of Enlightenment, and its continued relevance in our own era. 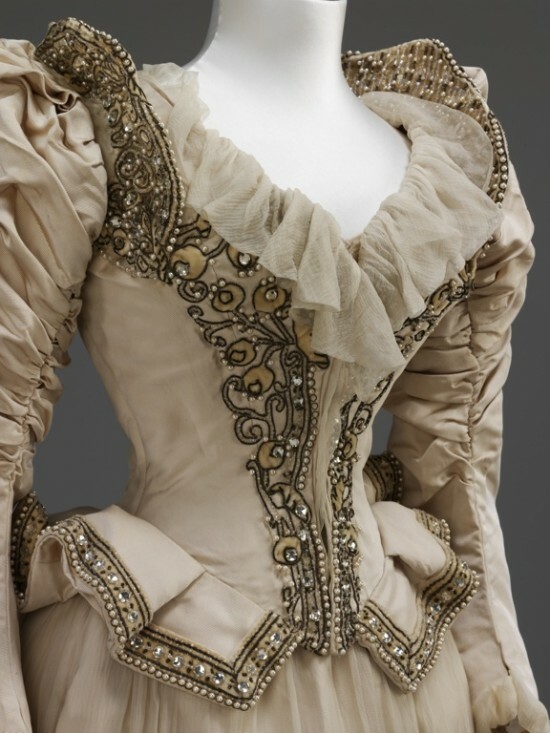 Enlightenment: Carte Blanche à Christian Lacrox is an innovative exhibition, enhanced with Lacroix’s inimitable flair. The exhibition continues through 19th April 2015. 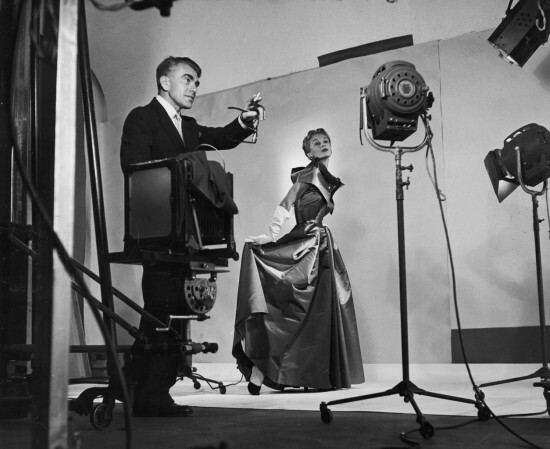 1st October 2014 Fashion icons, Presidents, Hollywood stars, and avant-garde artists were all captured on film by Horst (1906-1999) – one of the leading photographers of the 20th century. A fascinating retrospective of his work – that spanned six decades – is celebrated at the Victoria & Albert Museum in London. 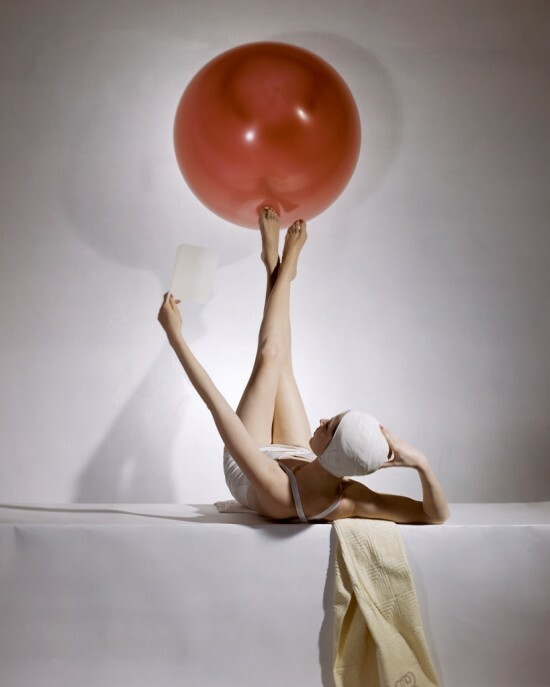 Horst’s stylish photos, plus haute couture garments by Parisian couturiers Chanel, Lavin, Molyneux and Vionnet, magazines, film footage, previously unpublished vintage prints, and ninety-four Vogue covers are all on display. Horst’s illustrious career straddled the opulence of pre-war Parisian haute couture and the rise of ready-to-wear in New York. He photographed – among many others – Coco Chanel, Elsa Schiaparelli, President Harry Truman, Marlene Dietrich, Noël Coward, Merle Oberon, and his photos of Lisa Fonssagrives helped to launch her glittering modelling career. 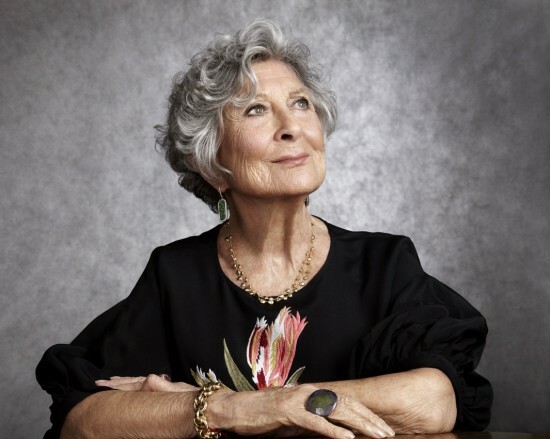 20th September 2014 The launch of a new limited edition of the legendary glasses worn by Peggy Guggenheim celebrates the 80th anniversary of Safilo. Edward Melcarth, an American artist and friend, originally designed the sunglasses for Guggenheim. She traversed Venice’s Grand Canal in her private gondola, wearing the eccentric sunglasses surrounded by her beloved dogs. 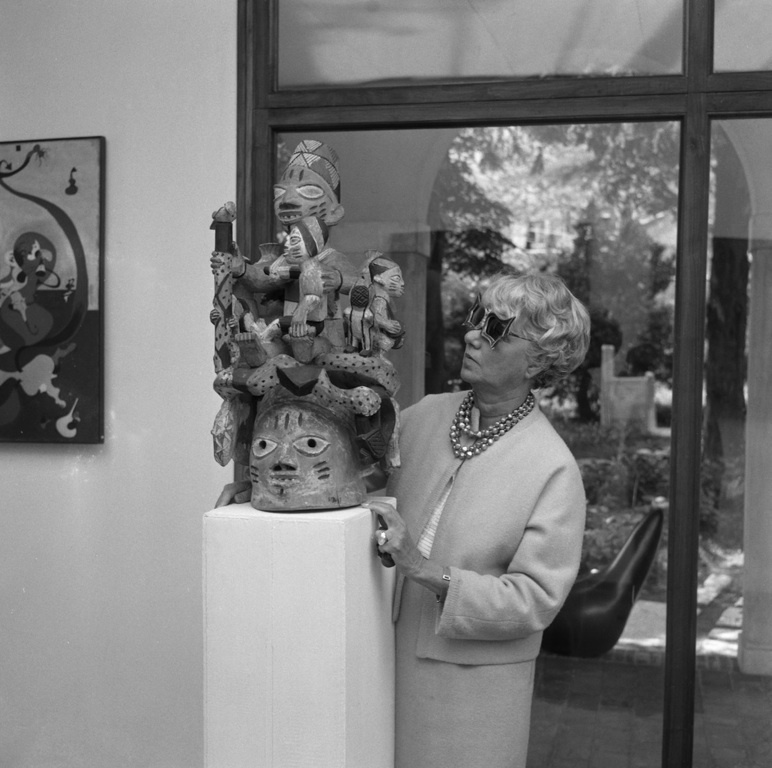 Peggy Guggenheim was the last private gondola owner in Venice, and onlookers were astonished as they watched the charismatic mistress of modernism float along the canal that she loved. Guggenheim was a renowned collector of 20th century art and gave enormous support to artists that included Mark Rothko and Jackson Pollock. Her early childhood was marred by the death of her father on the Titanic, in which he perished. She grew up to live an unconventional, bohemian life filled with artists and travel. In the late 1940’s she bought the Palazzo Venier dei Leoni on The Grand Canal, and made Venice her home for the rest of her life. The Peggy Guggenheim Collection is located in her former residence. Safilo had already drawn inspiration from Guggenheim’s sunglasses in 1994, when it first produced and distributed its Peggy Guggenheim model. Like the pervious version, the sunglasses are on sale exclusively at the museum. 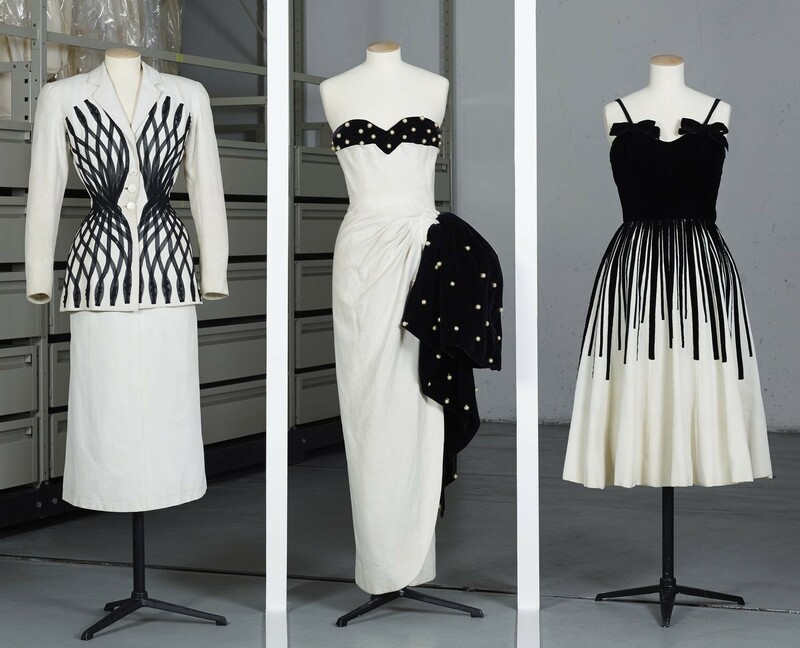 1st September 2014 A celebration of 1950s Paris fashion is the theme for an outstanding exhibition at the elegant Palais Galliera Museum. 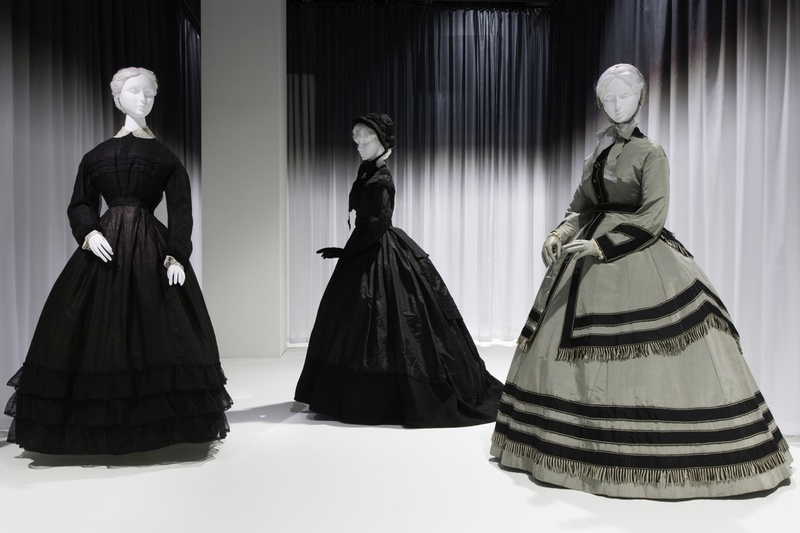 The world was post-war, and Christian Dior led the way with his cinched waist silhouettes and full skirts that contrasted with previous austerity. The 1950s were a decisive period for French haute couture, which suffered badly in the wake of the 1929 stock marked crash and the war. 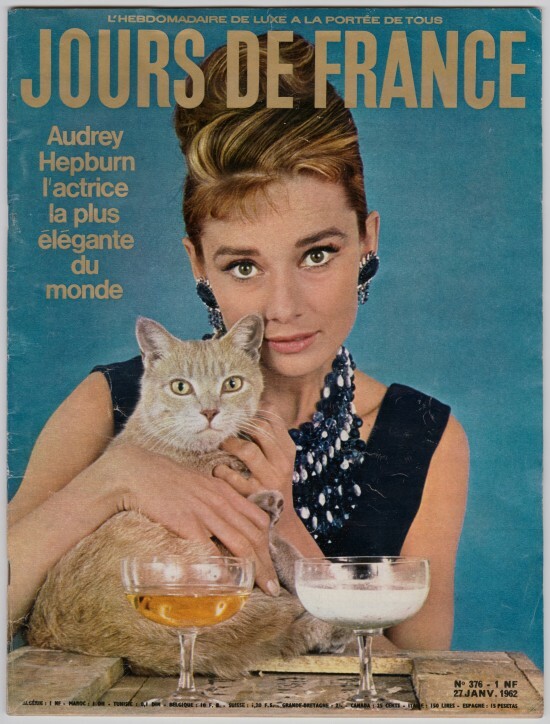 The decade after the war, names synonymous with luxury, originality and beauty elevated French fashion to new heights. In addition to Dior, Coco Chanel, Jacques Heim, Schiaparelli, Carven, Balenciaga, Jacques Fath, Pierre Balmain, Lanvin-Castillo, and Hubert de Givenchy found dazzling success with prestige stores and eager customers. 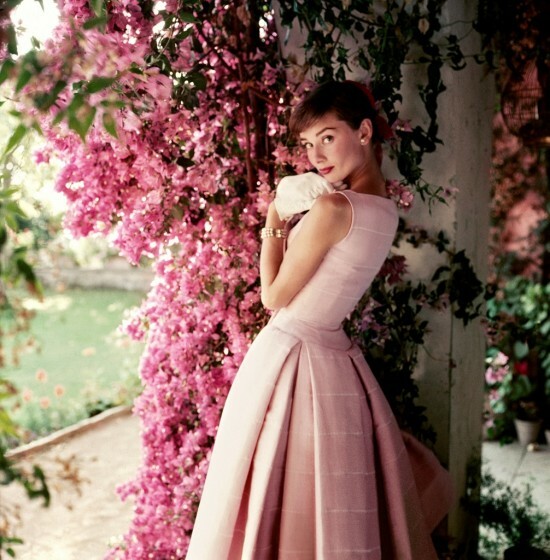 Petticoats, pointed shoes, bright-coloured floral and striped prints, wasp-waist suits and straight skirts, strapless sheath dresses, cocktail dresses: such was the couture of the 50s. 19th August 2014 A marvelous vintage steam engine is not a usual sight on Boulevard Saint Germain – but certainly an intriguing one! The gleaming green engine that captures the attention of passers by and motorists is part of a superb exhibition – Il Ètait Un Fois L’Orient Express. The trains are displayed in the outdoor space at L’Institut du Monde Arabe in Paris. Carriage interiors can be visited, and a nostalgic look at train travel during The Golden Age reflects the amazing grandeur, service, elegance and pampering passengers enjoyed in another era. The “wagon-lits” as they are called in French, are beautifully appointed with fine wood panelling, and carved René Lalique glass insets. 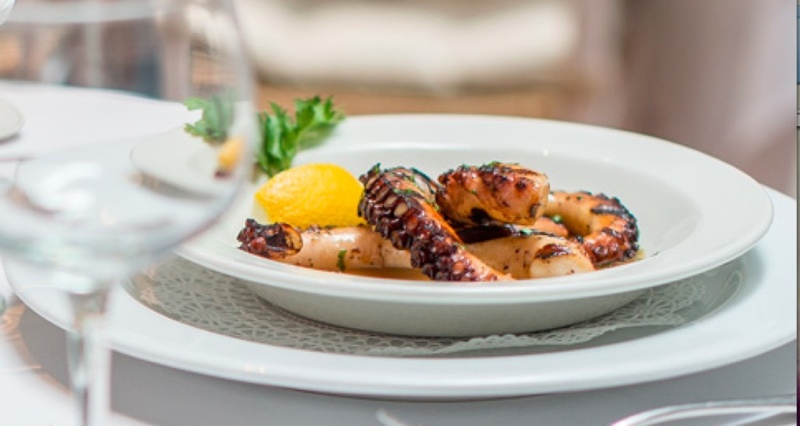 Gourmet dining is further enhanced with lovely cutlery and china. 11th August 2014 GRAY M.C.A leading specialists in Fashion Illustration are holding a selling exhibition of original fashion illustrations from Post War 1940s through to the 1970s from Thursday 11th – Tuesday 16th September 2014 at Gallery 8, 8 Duke Street, St James’s, London. 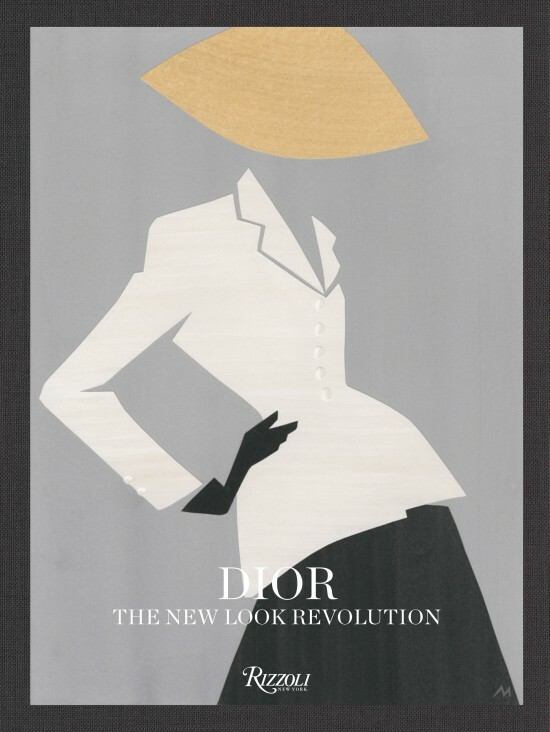 Coinciding with London Fashion Week SS15, the exhibition will include more than 40 original works by some of the leading illustrators of the time from Britain, Europe and America including René Bouché, René Gruau & Carl ‘Eric’ Erickson for publications including British & American Vogue, Harpers & Queen, The Sunday Times, Frau im Spiegel (Germany) & Jardin des Modes (France) as well as advertising work for L’Oreal and other famous names in Haute Couture such as Nina Ricci. 1st July 2014 How times change! An original exhibition at the charming canal-side Tassen Museum in Amsterdam shows the history of travel and development of suitcases from 1850 to the present. 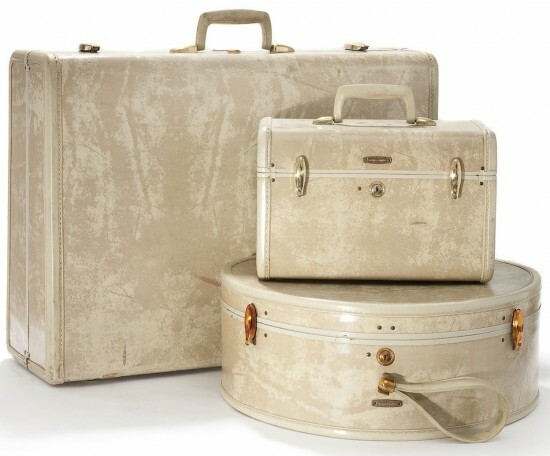 Excursions in the early days relied on gigantic trunks that were the norm for travel by coach and ship, as well as luxurious luggage sets, and extravagant dressing cases containing silver brushes and crystal vials. 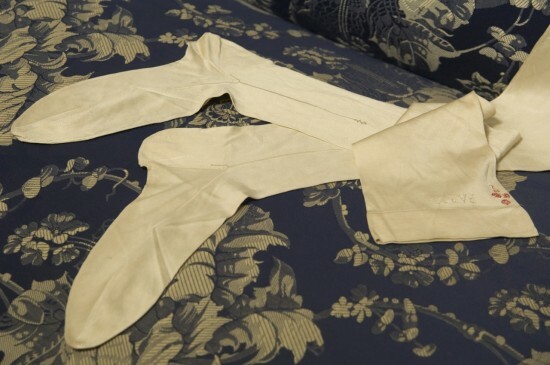 Travel during the 19th Century was uncomfortable and dangerous; for that reason trunks had to be weather proof and sturdy, so that they could be tied to the top or back of a coach. The invention of the steam engine changed not only how people lived, but how they travelled. It was then possible to cover much longer distances by steam train or ship. 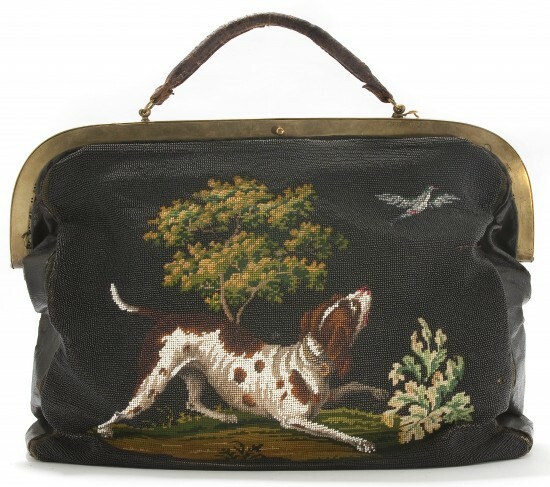 The carpet bag, which could also serve as a rug in unheated train compartments, was popular for train travel during the 19th Century. Later came the use of woolen railway bags, decorated with depictions of flowers or animals. For luxurious cruises, cabin trunks (top photo: Wardrobe Trunk Belber Trunk & Bag Co. Philadephia c. 1930) were designed for extensive wardrobes with drawers for shoes and clothing hooks for coats, dresses or suits. How people travelled and the types of bags used changed dramatically during the 1970’s when air travel became more affordable. Mass tourism put different demands on suitcases and travel bags; luggage became smaller, lighter and was equipped with wheels. And now creating luggage that accommodates one’s belongings that fit into an airplane’s overhead locker is the latest challenge. 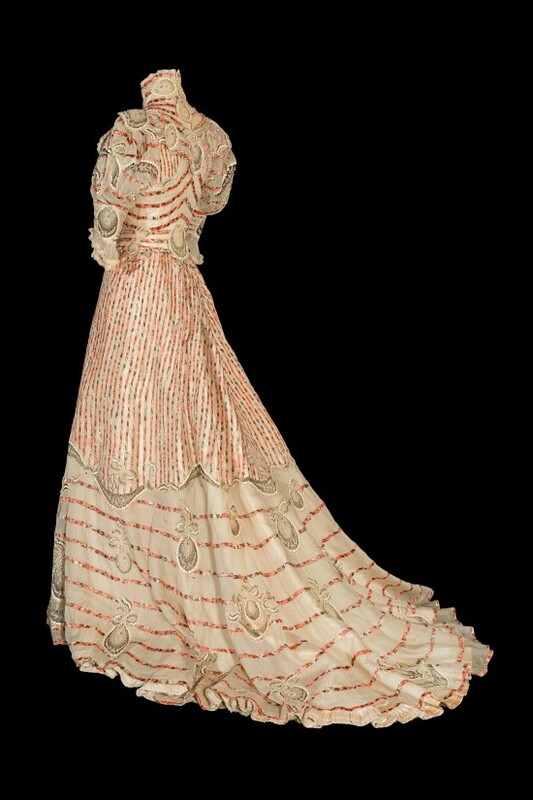 1st June 2014 Romantic, extravagant and glamorous wedding ensembles from the V&A collection are included in this magical array of bridal wear. 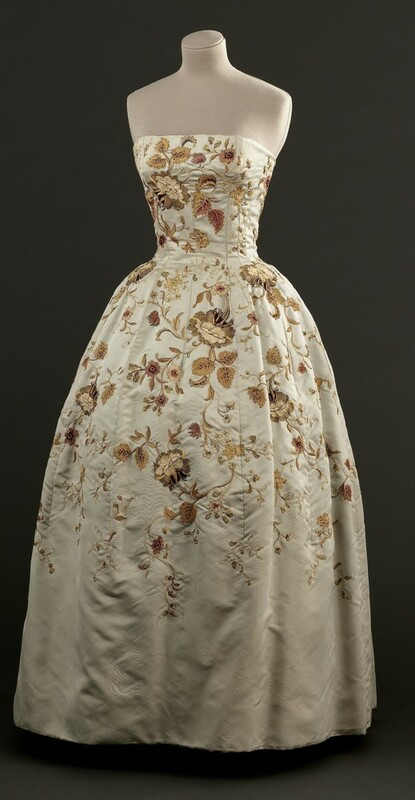 A panorama of superb wedding dresses, and the growth of the wedding industry is explored in this stunning exhibition. 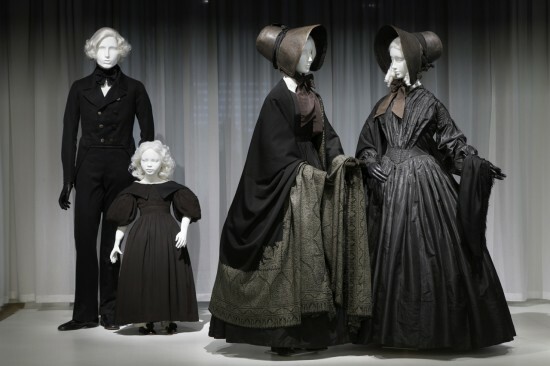 Wedding attire from 1775 to 2014 includes dresses by Charles Frederick Worth, Charles James, Hardy Amies, Norman Hartnell, Christian Lacroix, and Bruce Oldfield among others. 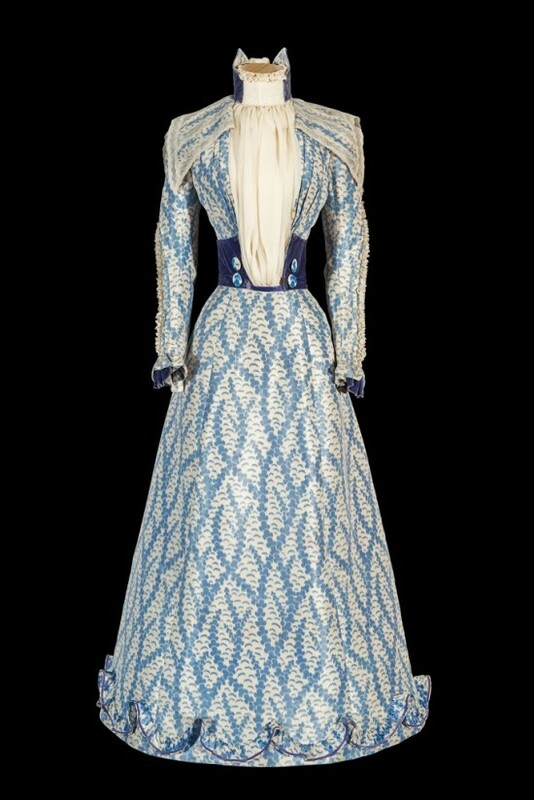 Most of the outfits were worn in Britain, by brides of many faiths. 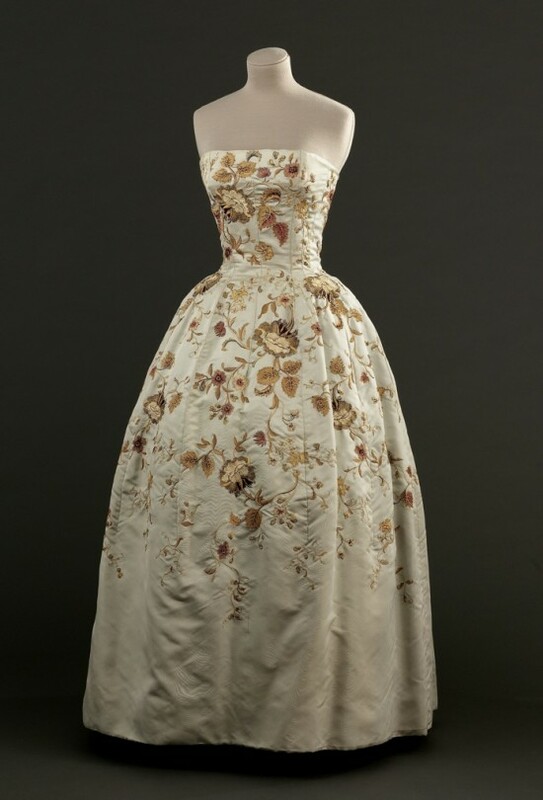 1st May 2014 The glamorous, elegant, sculptural designs by Charles James are the subject of a beautiful exhibition held in the newly renovated Tisch Gallery in the Anna Wintour Costume Center, at the Metropolitan Museum of Art in New York City. 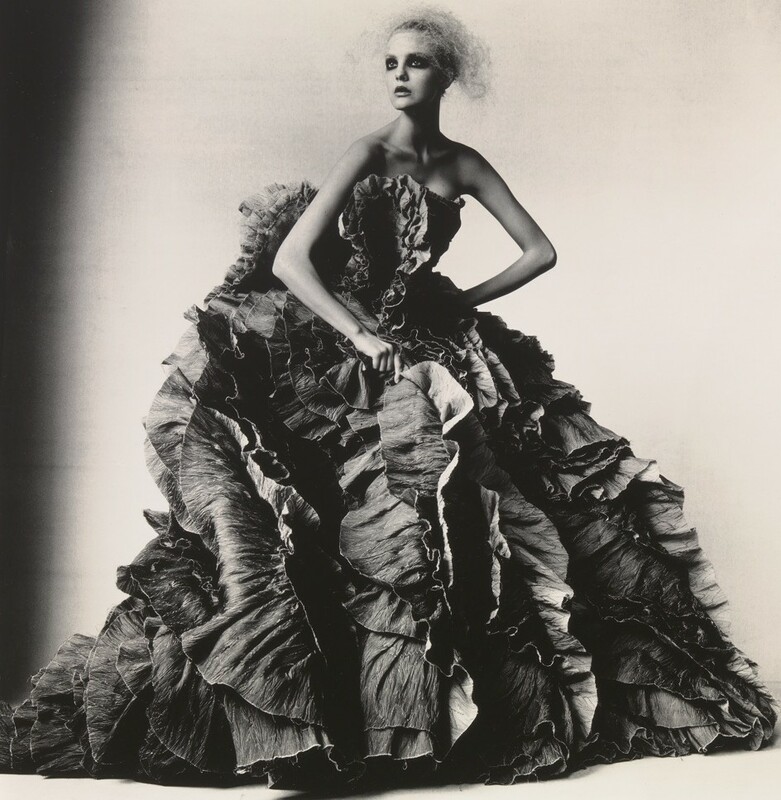 Complex cuts, extravagant draping, and luxurious materials were transposed into fabulous designs – magic that James performed with his imagination and scissors. 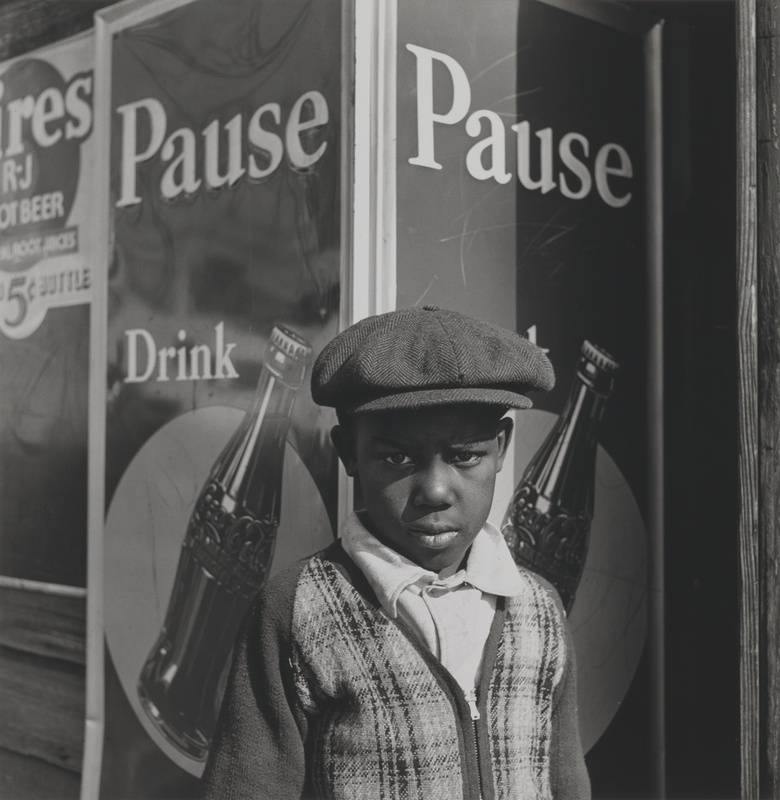 James was born in Britain, and worked in Paris before arriving in New York in 1940, where he established permanent residence. His early clients included Diana Vreeland, iconic fashion editor, and society beauties Babe Paley and Millicent Rogers. 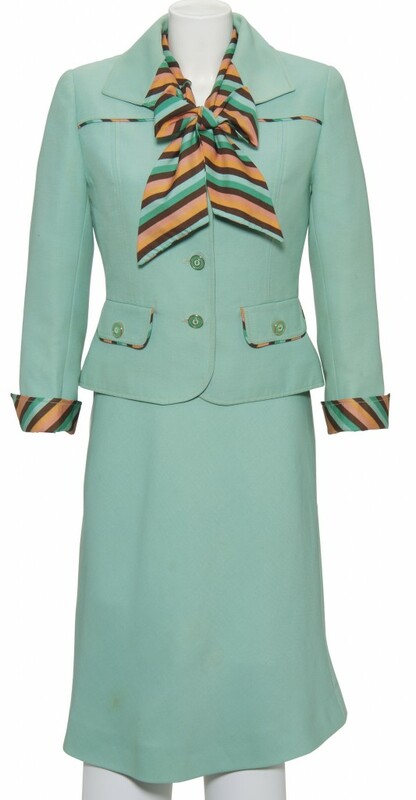 In 1954, James married Nancy Lee Gregory, who frequently modeled his designs. 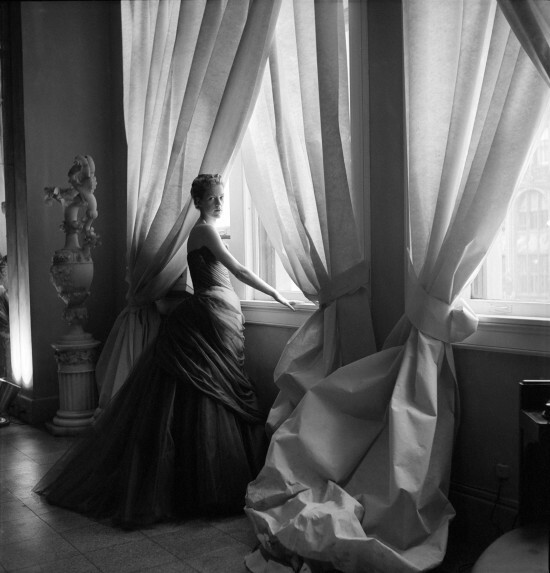 Nancy James: Courtesy of The Metropolitan Museum of Art, Photograph by Cecil Beaton, The Cecil Beaton Studio Archive at Sotheby’s.